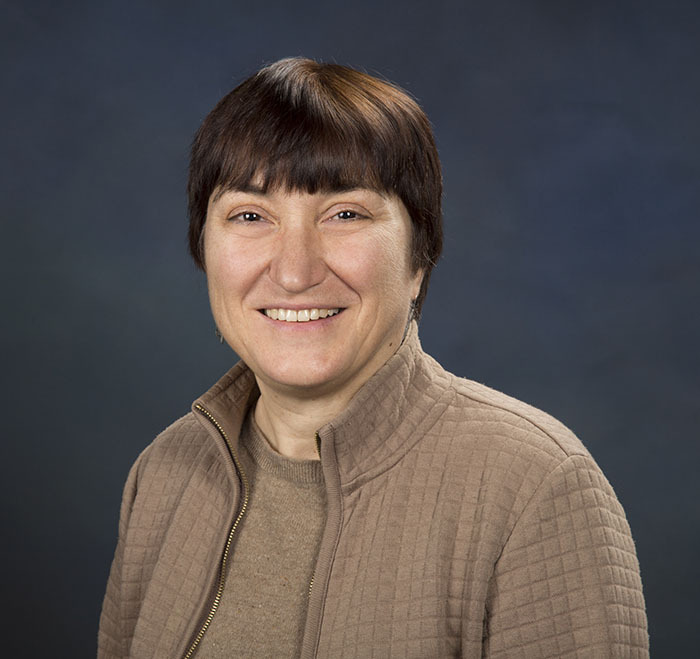 Dr. Vania Jordanova has been involved for more than 25 years in theoretical and numerical studies of the inner magnetosphere of the Earth; her research has focused on processes that couple the ionospheric and magnetospheric regions. She has developed a kinetic ring current-atmosphere interactions model (RAM) to study ring current and radiation belt dynamics during geomagnetic storms, as well as the generation of plasma waves, wave-particle interactions, and particle precipitation into the atmosphere. Vania holds a M.S. from Sofia University, Sofia, Bulgaria, and a Ph.D. from University of Michigan, Ann Arbor, MI. She worked for 10 years on the research faculty at the University of New Hampshire, Durham, and then, in 2006, she moved to Los Alamos National Laboratory (LANL), NM. Vania has authored more than 130 scientific publications and has presented more than 50 invited papers at international conferences. She has convened sessions at international meetings sponsored by the AGU, AOGS, EGU, and COSPAR organizations. She is one of the main organizers of the International Symposium on "Recent Observations and Simulations of the Sun-Earth System" (ISROSES) held in Bulgaria in 2006, 2011, and 2016. She is a life member of the American Geophysical Union (AGU) and an Associate of the Committee on Space Research (COSPAR). Dr. Jordanova has been the Principal Investigator (PI) or Co-PI on more than 20 projects that study magnetospheric dynamics sponsored by NASA or NSF. She is a Co-I on two NASA Van Allen Probes instrument teams, the Energetic Particle, Composition, and Thermal Plasma (ECT) and the Electric and Magnetic Field Instrument Suite and Integrated Science (EMFISIS). Vania was the PI of the large multi-disciplinary LANL Directed Research and Development (LDRD-DR) project SHIELDS (Space Hazards Induced near Earth by Large Dynamic Storms - Understanding, Modeling, Predicting) which was selected as a 2017 R&D 100 Award Winner as one of the top 100 innovations in science and technology of the year.